When your life is committed to Jesus, you see the world in a different light. You willingly accept those things in your life that cannot be changed. And you believe that Jesus has some purpose for the cross you carry. 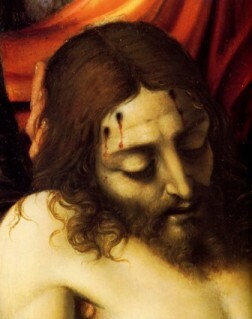 When you are committed to Jesus you join your suffering to the sufferings of Our Lord. Jesus I was not present at your agony in the garden, or your scourging, or your carrying of the cross, or your crucifixion. Although my sufferings cannot begin to compare, I offer you my sufferings for those who have lost their way. All honour, praise and thanksgiving to you my Crucified Lord. Sometime in our life, each of us will experience our own personal cross. We will journey through darkness and a valley of tears. We may stumble many times. Each time, we need to get up again and return to our Father. If we put Jesus first in our lives, then we are able to bear the pain of our own cross for His sake. The greatest test of our love for Jesus is our acceptance of what can't be helped in our life. We should try to accept our cross out of love for Jesus. Then we no longer ask, "Why did this have to happen to me?" Instead, you trust Jesus completely. A young boy in our church died of cancer. Around the same time an older boy in our church also died of cancer. Both mothers had prayed very hard for a miracle, which never happened. The mother of the younger boy thanked God for the years she had with her son. The mother of the older boy decided that there was no God and she stopped going to church. 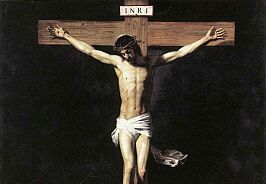 "Jesus, I offer You my sufferings for those who have lost their way." You may want to offer your suffering for a particular person(s) or for the souls in purgatory. Life goes very quickly. Your future is eternal life with Jesus. And then there will be no more sadness or pain. Into your hands I commend my love. When bad things happen... why me?